Our Sauvignon Blanc is produed from the Croft Vineyard, a unique parcel located at the southern end of the Alexander Valley. 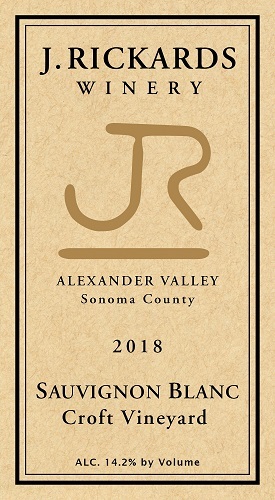 The vineyard was planted at an elevation 700 feet above the valley floor in a saddle that connects the Russian River AVA and the Alexander Valley AVA. This location allows the cooling fog from the coast to penetrate early in the morning, cooling off the vines and extending hang-time for the grapes. These factors help develop intense aromatics of melon and exotic fruit flavors, while stil preserving the crisp acidity that Sauvignon Blanc is known for.